National Geographic, The Nature Conservancy, Wildlife Conservation Society, Hello Fresh, Monterey Bay Aquarium; Seafood Watch Program, Guy Harvey Ocean Foundation VR Lounge, Lonely Whale Foundation, Mission Blue, Oceanic, FundingtheOcean.org, NYC Junior Ambassadors, NGO Committee on Sustainable Development-NY, Peace Boat, Surfriders Foundation, Billion Oysters Project, Harbor School, Riverkeepers, Waterfront Alliance, Clearwater, Second Muse, Peter Lynn Kites, Bye Bye Plastic Bags, Heirs to Our Oceans, Sea Youth Rise UP. Note: Governors Island ferries operate to and from Lower Manhattan and Brooklyn; the last Ferry is at 7:00 pm. Dr. Ayana Elizabeth Johnson is a marine biologist, policy expert, conservation strategist, and Brooklyn native. She is founder and principal of Ocean Collectiv, a consulting firm that creates and amplifies solutions for a healthy ocean, while centering social justice. She teaches at New York University as an adjunct professor, and volunteers as co-director of partnerships for the March for Science. 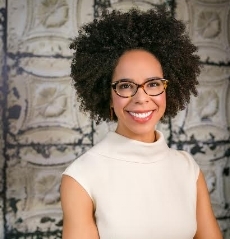 As executive director of the Waitt Institute, Ayana co-founded the Blue Halo Initiative and led the Caribbean’s first successful island-wide ocean zoning effort. Previously, she worked on ocean policy at the EPA and NOAA, and was recently a TED resident and Aspen Institute fellow. She writes about how we can use the ocean without using it up on the National Geographic blog and @ayanaeliza. Peter is a Fijian diplomat who currently serves as President of the General Assembly of the United Nations. He has been Fiji's Permanent Representative to the United Nations since February 2010. For the year 2014, he was elected President of the Executive Board of the United Nations Development Programme (UNDP), the United Nations Population Fund (UNFPA) and the United Nations Office of Project Services (UNOPS). He presided over Fiji's election to the 2013 Chair of the Group of 77 and China – the UN's largest negotiating group with 133 Member States. He was the architect of the name-change of the UN's Group of Asian States to the new name of the Asia-Pacific Group, effective 2011. In 2014 the President of Fiji conferred on Peter Thomson the award of Officer of the Order of Fiji. 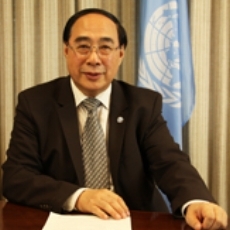 Mr. Wu Hongbo was appointed United Nations Under-Secretary-General for Economic and Social Affairs on 1 August 2012. As Under-Secretary-General for Economic and Social Affairs, Mr. Wu guides UN Secretariat support for the follow-up processes of the Rio+20 Conference, including the UN General Assembly Open Working Group on Sustainable Development Goals, the Intergovernmental Committee of Experts on Sustainable Development Financing, and the High-level Political Forum on Sustainable Development. He has overseen the substantive services to a number of intergovernmental processes, including the General Assembly Special Event on MDGs, the intergovernmental deliberations on the post-2015 development agenda, the General Assembly High-level Meeting on Persons with Disability, the High-level Dialogue on Migration and Development, as well as the annual meetings of the Second and Third Committees of the General Assembly, the meetings of the Economic and Social Council, including its Development Cooperation Forum, and the work of the functional commissions of ECOSOC. In addition to intergovernmental processes, Mr. Wu oversees DESA’s policy analysis and capacity development work. He also serves as the Convenor of the Executive Committee on Economic and Social Affairs, and advises the United Nations Secretary-General on all development-related issues, including climate change, internet governance, and financing for development. Mr. Wu graduated from Beijing Foreign Studies University and pursued his postgraduate studies at Victoria University of Wellington in New Zealand. He was born in May 1952 in Shandong, China. Mr. Wu is married with a daughter. Stephanie Wear is a marine ecologist and spokesperson at The Nature Conservancy, the world’s largest environmental organization, developing new strategies to reduce threats to coral reefs, paying special attention to how the fates of reefs and people are intertwined, and examining the role that sanitation plays in conservation and human health around the globe. Miranda is the Founder and Director of the Climate Museum, the initiative to create a museum dedicated to climate change, with the goal of catalyzing community engagement and moving climate solutions to the center of our shared public life. The Climate Museum will be a museum space for climate-focused exhibitions and programs; a hub where diverse stakeholders and communities convene to advance climate leadership; and an institution that activates dialogue across professional and social sectors. Over the coming year, the Museum’s first exhibitions will be launched; eventually, it will find a permanent home in transit-accessible, tourist friendly NYC. Martha recently directed and produced two films for the Emmy Award winning climate change documentary series Years Of Living Dangerously, which screens on National Geographic. Martha has directed and produced shoots across 6 continents, and her work has screened in over 150 countries. She directed and executive produced five seasons of the global food travel series World Kitchen. Marine biologist, ocean explorer, and professor David Gruber searches the undersea world for bioluminescent and biofluorescent marine animals. Gruber's discoveries are providing a wealth of new insights into a secret "language" of shining colors and patterns that help many marine creatures communicate, interact, and avoid enemies. He and his collaborators have illuminated and discovered novel fluorescent molecules from marine animals and are searching for connections between glowing sea life and the ability to visualize the inner workings of human cells. His research group at City University of New York and the American Museum of Natural History has deciphered the genomic code of scores of new fluorescent proteins, which are being developed as tools to aid in medical research and illuminate biological processes. On land, his team designs submersibles and other technologies to revolutionize ocean exploration and discovery. He is also designing extremely-light-sensitive cameras to film the shimmering sea creatures in much sharper resolution and employs submarines, robotic undersea vehicles, and technical diving to push the boundaries of our understanding of life in the deep sea. 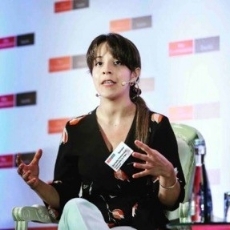 Daniela is Founder of the Sustainable Oceans Alliance (SOA), a global organization that empowers Millennials to become leaders in preserving the health and sustainability of our ocean, hosting annual Summits broadcast globally and engaging 30 universities, U.S. embassies and over 3,000 participants. In partnership with the U.S. State Dept, SOA co-hosted the “Our Ocean” Leadership Summit of government officials and international students and was named by the UN as one of the 50 youth led projects helping advance the SDGs. 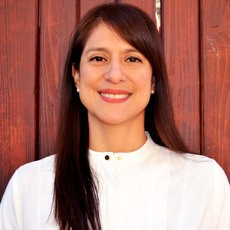 Fernandez has been recognized for her work by U.S. Secretary of State John Kerry, listed as one of the top 5 Ocean Heroes of 2016, named one of Glamour Magazine’s College Women of the Year, received the Peter Benchley Ocean Youth Award, the 2016 Bustle Upstart Award, and is a Green 2.0 environmental leader. Michael M. Samuelian is President and CEO of the Trust for Governors Island. Samuelian has a wealth of experience in both the public and private sectors in urban design, planning, and overseeing the implementation of large-scale development projects. He will be responsible for directing and managing all of Governors Island’s activities and operations, and supporting the development of Governors Island as a vibrant, year-round destination for recreation, innovation, and culture. Previously, a a Vice President at Related Companies, his work focused on the design of large-scale public private development projects. Samuelian has been responsible for the urban planning, design management and public approvals of Hudson Yards, a $25 billion master plan for 17 million square feet of mixed-use development on Manhattan’s West Side. Prior to joining Related, Samuelian served as Director of Lower Manhattan Special Projects at the Department of City Planning, helping the City's efforts to redevelop downtown post-9/11. Samuelian is an architect, urban designer and urban planner. His professional career as an architect has focused on large-scale commercial and urban planning projects; working with Machado Silvetti in Boston, SMWM in San Francisco and HOK Architects in New York. Michael is a Fellow of the AIA, a registered architect in New York State and a member of the New York State Board for Architecture. He also serves on the Board of Governors of Open House New York (OHNY) and the Board of Directors of the Friends of Governors Island. Launched in October 2015, in celebration of the 70th Annive rsary of the United Nations, NYC Junior Ambassadors (NYCJA) was created to leverage the United Nations as a resource for NYC seventh graders and empower students in all five boroughs of New York City to become actively engaged with the United Nations and its mission of addressing some of the most pressing challenges in the world. Through innovative programming and unique opportunities for first-hand interactions, NYCJA seeks to expose a diverse array of teachers and students to the United Nations as a tool for teaching and learning in a variety of fields - from science to arts to civics. More than 80 educators competed to join the inaugural NYCJA cohort and after much deliberation, eleven classrooms and afterschool programs were selected on the basis of essays written by educators. As part of NYCJA, nearly 275 students and more than 30 NYC educators received curated tours of the United Nations headquarters matched to each class's curricular interests. United Nations diplomats also visited each classroom to engage the students and learn more about different neighborhoods of the City. 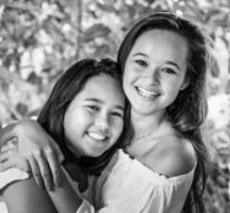 Inspired by a school lesson about Nelson Mandela and Mahatma Ghandi, Melati and her sister Isabel founded Bye Bye Plastic Bags in 2013, launching a mission to stop plastic bags from suffocating their beautiful island home of Bali. Their efforts — including petitions, beach cleanups, even a hunger strike — paid off when they convinced their governor to commit to a plastic bag-free Bali by 2018. It has grown to a well-known international movement of inspiration, youth empowerment, and of course, saying no to plastic bags. Lea is a Founder of Oceanic Global, a non-profit that taps into universal passions of art, music and emerge tech to educate individuals on issues impacting our oceans and provide them with solutions for driving positive change. Oceanic creates immersive experiences that: engage local communities, generate measurable impact, amplify the efforts of synergistic groups, and ignite global action. Coordinator of the Regional Seas programme for the East Asian Seas (COBSEA). Managing the COBSEA Secretariat, overseeing strategy development and ongoing work to update and implement the Regional Action Plan on Marine Litter through a regional, cross-sectoral partnership. Leads UN Environment’s coral reef work, focusing on climate change resilience, ecosystem service values in public and private decision making, and assessment and reporting for ecosystem-based management. Advises UN Environment on nature-based adaptation and mitigation in coastal areas. 20 years of international experience in applied research, marine and coastal management and policy development, as an employee of the Government of Finland, the International Union for Conservation of Nature, and UN Environment. Based in Bangkok, Thailand. Wybe is CEO of Van de Sant Global, a sustainable design furniture company distinguished for its contemporary design using high quality frames and fabrics made from (ocean) plastic waste. An agent of conservation for the past 25 years, Karin manages Seafood Watch’s Conservation Partner program. She works with zoos, aquariums, science museums and other mission-aligned organizations to advance sustainable seafood messaging and action in their communities. The program currently counts more than 200 partners, representing 10 countries across 4 continents. Karin’s previous experience includes positions at a notable zoo in San Diego and a wharf-side aquarium in Boston. Additionally, she has been invited to work at the industry level to advise conservation projects which showcase the intersection of endangered species with unsustainable fishing practices. The Guy Harvey Ocean Foundation (GHOF) conducts scientific research with the Guy Harvey Research Institute (GHRI) and hosts educational programs aimed at conserving the marine environment. The GHOF works to ensure future generations can enjoy and benefit from a naturally balanced ocean ecosystem. Born in Jamaica to Gillian and Dr. Guy Harvey, Jessica has always had a passion for the environment and the species that live within it. During her childhood, she and her brother Alex participated in fishing and diving expeditions around the world, landing several IGFA fishing world records and exploring underwater treasures few young kids get the chance to see. After graduating from the University of Edinburgh in 2012 with a degree in Zoology, Jessica worked for 3+ years at the Cayman Islands Department of Environment as a Research Officer in the Terrestrial Resources Unit and continued to assist with marine research when possible. Jessica now oversees GHOF’s and GHRI’s logistical planning for research on ecology, genetics, behaviors and physiology of fishes in the Cayman Islands. She and her colleagues work closely with many local and international conservation organizations to help promote environmental awareness and sustainable use of the environment through school presentations, documentaries and other social media outlets. Lasse Gustavsson, Senior Vice President and Executive Director of Oceana, has been engaged in environmental and development issues since his early years and has a lifetime commitment to sustainable development. 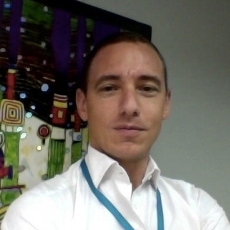 He has many years of experience in leading international programmes and campaigns, developing partnerships with business, running constructive political lobbying efforts as well as leading marine conservation programs in the field. Lasse has dedicated the greatest part of his professional career to supporting the work of various NGOs and has a solid background in the area of nature conservation. He is a very dedicated conservationist who always gives great priority to conservation impact on the ground. Sean Barrett is a lifelong veteran of both the restaurant and fishing industries of New York, and a co-founder of Dock to Dish an expanding international network of community- and restaurant-supported fishery programs. He is a founding member of both the Northwest Atlantic Marine Alliance (NAMA) and the Amagansett Food Institute (AFI); serves on the executive board of ‪GreenWave.org; is a longtime pod member for the Future of Fish organization; and has been named Person of the Year by the United Restaurant and Tavern Owners (URTO) Association of New York State. Barrett has also been ranked among the 25 Most Daring Individuals of 2016 by Vanity Fair magazine; named to Grist’s list of the Foremost 50 People Fighting for a More Sustainable Future; listed as one of Sonima's top 50 Innovators Shaping the Future of Wellness; identified as one of the Top 7 Leaders of the Future of Food by Bon Appetit magazine; designated as New York State's ambassador to the "United States of Healthy" by editors of Cooking Light magazine; nominated by both the Monterey Bay Aquarium and Carl Safina to be recognized by the White House as a United States Champion of Change for Sustainable Seafood; and was recently appointed to serve as a member of the New York State Marine Resources Advisory Council under Gov. Andrew Cuomo. Degrees in Economics, Cambridge University and Harvard Kennedy School of Government. Formerly with the UK Prime Minister's Strategy Unit; then management consultant advising governments and companies in Africa on strategy. Co-Founder, Harvard's Africa Policy Journal, Harvard University's first public policy journal with a focus on Africa. Chair, Global Agenda Council on Oceans, World Economic Forum. Economic Adviser to Mauritius on the development of a long-term economic transformation programme to move Mauritius from a middle-income to a high-income country, as well as Africa Strategy. Murray is Executive Director of the New York Harbor Foundation, working to create a network of environmentally literate students, schools and communities working together to restore New York Harbor. Their vision is to make the entire New York Harbor estuary cleaner, more abundant, and accessible to all. The Harbor Foundation accomplishes this work through its flagship school, the New York Harbor School; and a flagship initiative, the Billion Oyster Project. Matt Gove is champion of the surf and sand. As Surfrider’s Mid-Atlantic Policy Manager, he works to support our nine Mid-Atlantic Chapters and guides them to win coastal and ocean policy campaigns. The Surfrider Foundation is a community of everyday people who passionately protect our playground - the ocean, waves, and beaches -that provide us so much enjoyment. Our model is to engage environmental experts to create solutions, unite local and national resources to protect the coast, and leverage our local chapter network’s knowledge with a national perspective. Jon is WCS Vice President and Director of the New York Aquarium. The Wildlife Conservation Society saves wildlife and wild places worldwide through science, conservation action, education, and by inspiring people to value nature. From successfully recovering the American bison recover on the Western Plains in the early 1900s to, forging the power of global conservation and the management of five parks in New York City, today they manage around 500 conservation projects in more than 60 countries; and educate millions of zoo and aquarium visitors on important issues affecting our planet. In addition to his professional experience with community development, Roland is active with many nonprofit community organizations. National Geographic Society Explorer-in-Residence Dr. Sylvia A. Earle, called "Her Deepness" by the New Yorker and the New York Times, "Living Legend" by the Library of Congress, and first "Hero for the Planet" by Time magazine, is an oceanographer, explorer, author, and lecturer. 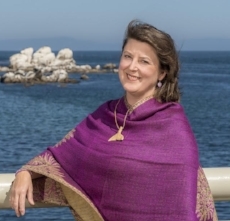 She has experience as a field research scientist, government official, and director for corporate and nonprofit organizations, including the Kerr McGee Corporation, Dresser Industries, Oryx Energy, the Aspen Institute, the Conservation Fund, American Rivers, Mote Marine Laboratory, Duke University Marine Laboratory, Rutgers Institute for Marine Science, the Woods Hole Oceanographic Institution, National Marine Sanctuary Foundation, and Ocean Futures. The 2017 Sea Youth Rise Up delegation unites an outstanding group of seven young conservation leaders working to improve the health of the ocean and empower others to do the same. Taking action to address diverse marine conservation challenges, these young people remind us of the important role youth leadership plays in the ocean conservation field and inspire all of us to renew our dedication to protecting our blue planet. As chief conservation and external affairs officer for The Nature Conservancy in New York, Gruskin oversees the organization's conservation and policy work in New York. He has a background that includes legal, finance, and policy experience in both the private and public sectors. He speaks regularly on environmental issues and specializes i environmental, energy, and economic development policy; real estate financing and development; government relations; open space conservation and preservation.